Featured in over 350 classics like the margarita and the cosmopolitan, the famous orange peel liqueur has long been a player in modern cocktail culture. 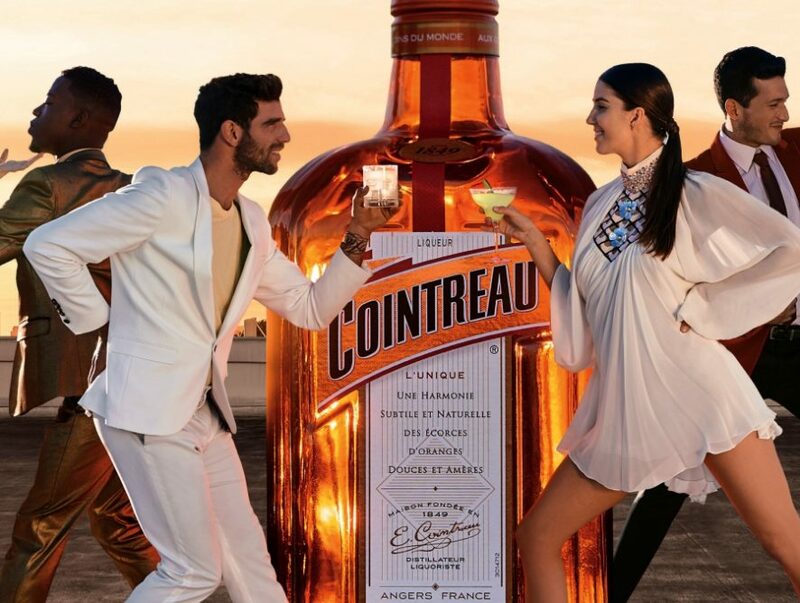 This new spirited campaign confirms Cointreau’s place at the heart of that equation. Comprised of a master film, capsule shorts and video tutorials and print assets, THE ART OF THE MIX illustrates Cointreau’s unique power: to make the ordinary extraordinary! Cointreau is a Master of Chemistry, both between ingredients and people. It is contagious, inclusive, and chic. This campaign’s mission was to creatively express these truths. Dance, universally synonymous with celebration, has been a part of Cointreau’s DNA since its first commercials in 1895. Throughout out the video campaign, dance gives audiences a new perspective on the brand: every character is an ingredient, each cocktail a dance, and each mix a marvellous alchemy. Since its creation in 1849, these words of Edouard Cointreau set the tone for Maison Cointreau. Embodied by the famous square bottle that bears the name of its creator, the brand expresses the same playfulness today, driven by the creative impulse that gave it life. Balance, moments, pleasure, style… even in its creation. The clear liqueur was born out of the inspired idea to combine sweet and bitter orange peels. This combination affords Cointreau its unique and delicate taste, the perfect balance of sweetness and freshness. The Cointreau recipe has retained its original authenticity since its creation. Its character and excellence lie in the rigorous selection and assembly of the orange peel essences, a meticulous task entrusted to Maison Cointreau’s Head Distiller. Cointreau is the world’s leading premium orange liquor and enjoys a longstanding presence across the five continents. Its superior quality makes it a favourite amongst bartenders and has earned it a place in the most influential and respected bars around the world. Join Cointreau AU Facebook or visit the Cointreau Australia website for more information.